St. Dichuill, of Airiudh-muilt, Lough Erne. In the Martyrology of Tallagh, and at the 28th of February, we find recorded, "Dichuill Mac Maelduibh in Airudh Muilt oc Locuibh Eirne.'' Marianus O'Gorman has an entry, which is somewhat similar. The Martyrology of Donegal3 registers on this day, Diochuill, son of Maoldubh, of Airiudh-muilt, on Loch Eirne. It seems impossible, at present, to identify this saint's locality, or to determine whether it was on an island, or along the shores. Following on from yesterday's saint, Beccan the Blind, today's saint, Oda of Rhoda in Belgium, also has a connection with blindness. Canon O'Hanlon has included her in his work on the grounds of her alleged 'Scots' i.e. Irish background. The feastday of saint Oda is also open to question as her main feastday appears to have been on 27 November rather than 27 February. Dempster, in his Scottish Menology, and Ferrarius, in his general Catalogue, insert a festival for St. Oda, Virgin, of Rhoda, in Taxandria, of Brabant, at the 27th of February. The Bollandists briefly allude to her, at the same date, although referring her festival to the 27th of November. Dempster states, that at Rhoda, St. Odda, a Virgin, was venerated, at the 27th of February. She was daughter to a king, and patroness of this place. Othbert, the Bishop, raised her precious remains, in 1103, to a place of honour. It is said, by Dempster, that she was daughter to Eugene V., King of the Scots, and a virgin, who led a most holy life. However, the authorities quoted by him, only make her daughter to a King of the Scots. It is thought, she flourished, about the year 500, although another more probable statement has 700, and 713. She was seized with blindness, but going to the tomb of St. Lambert, Bishop and Martyr, at Liege, she there prayed and recovered her sight. Through gratitude, she then vowed her virginity to God; nor, afterwards, could her father persuade her to marry. Following a Divine impulse, Odda went to Taxandria, and by her residence, she sanctified the whole Rhodan territory. It is related, that while she secretly prayed in a wood, a magpie betrayed this secret to men. Hence, in art, she is painted with a magpie. Renowned for her virtues and miracles, she was called, at last, to the nuptials of her Divine Spouse, and her body was deposited in a collegiate church at Rhoda, where she is commemorated as chief patroness. We are told, that her memory was greatly venerated, and that churches were erected to her honour, in various parts of the kingdom of Scotland. Her festival occurs, in the Kalendar of King Charles First's Prayer-book, probably in virtue of her royal descent. Her Acts are said to be more fully written, in the Scotichronicon, by the Monk of Paisley, by John Molan, by Constantinus Ghinius, in the English Martyrology, and in other works. In the anonymous Catalogue of Irish Saints, published by O'Sullevan Beare, and in the "Historia Sanctorum Lovanii" as also in Father Henry Fitzsimon's list of Irish Saints, at the 27th of February, we find entered, St. Oda, Virgo. However, the "English Martyrology" refers her feast, to the 27th of November. By Father Stephen White, she is said to have lived in the eighth century. St. Beccan, or Becanus, The Blind, Probably of Kinsealy, County of Dublin. This holy man flourished, probably at an early period, for he is registered, in the Martyrology of Tallagh, at the 26th of February, simply as Beccan, Chind-sali. In the Martyrology of Marianus O'Gorman, at this day, there is an entry, Becanus Kinsalie. It is probable, his place was near the village of Kinsaly, some three miles from Howth, in the present county of Dublin. This saint appears, from the epithet applied to him, to have laboured under the loss of sight. Becan, the Blind, of Ceannsaile, had a festival, celebrated on this day, as we read in the Martyrology of Donegal. St. Croine, Virgin, of Tallagh, County of Dublin. Croine, Virgin, of Tamhlacht, is mentioned in the Martyrologies of Tallagh and of Donegal, on this day. A community of holy women seems to have been established at her place, in the county of Dublin. This virgin's name is not found, elsewhere, in history. Reputed Festival of St. Berectus, a Monk, in Scotland. At the 24th of February, Petrus Galesinus, from some Manuscript Kalendars, has entered a St. Berectus. Arnold Wion states, he was a monk, and a confessor, in Scotia, who excelled in a saintly life, and as a preacher; but, more he could not find, regarding the holy man. He is said to have flourished, during the reign of Mordac, the fifty-ninth King of the Scots. He is said to have died, A.D. 720. Menard, Dorgan and Wilson note his festival, at this date. The Bollandists have a suspicion, that Berectus may be identical with Berachius, who is venerated on the 15th of this month. At the 24th of February, the festival of Berectus, a monk, in Scotia, is entered by Camerarius and by Dempster. The latter acknowledges, that he does not know when the present holy man flourished, although attributing to him a Book of Homilies on the Sacred Scriptures. Wion, Lignum Vitae, pars 2, lib. iii. p. 57, 1598—"In Scotia Sancti Berecti Monachi et Confessoris, qui profuit et vitae sanctissimae exemplo et predicatione." He adds in a note, " De eodem Galesinus hac die, ex MS. Kalendariis : de cujus rebus gestis nihil reperii." Alexander Penrose Forbes, D.C.L. Bishop of Brechin, Kalendars of Scottish Saints, (1872), 279. Canon O'Hanlon brings us a notice of two saints commemorated on February 23, whose history is rather obscure, although their feast-day is well-attested on the Irish calendars. The 17th-century hagiologist, Father John Colgan, attempted to associate the pair with a group of martyrs on a Scottish island who were victims of a 9th-century Viking raid, but the evidence is far from convincing. It provides Canon O'Hanlon with an opportunity to tell us the story of the Scottish martyrs, however, which is an interesting one in its own right. Little is known, regarding these saints, except what we find stated in the Irish Martyrologies. In those of Tallagh, of Marianus O'Gorman, as also of his Scholiast, and of Donegal, their feast is referred, to the 23rd of February. It is stated, that their memory had been venerated, at a place, called Aredh-suird, according to the first-named authority. But, Mannan, and Tian, of Airiudh h-Uird, are mentioned in the Martyrology of Donegal as having had a festival, at this date. Tian is likewise designated, Theonas, in a table appended to this record of our national saints. Their Acts, or rather a few doubtful notices, concerning them, are given by Father John Colgan, at the 23rd of February; while, at this same date, the Bollandists acknowledge their obligations to him, for communicating some manuscript materials to illustrate their own briefer notices. In the Martyrology of Tallagh, the first-named saint, Mannan, is called "strenuus pugil"—a term most usually applied to a martyr; and, as both names are found united, in our Calendars, it is possible, both endured death for the faith, being thus united in suffering, as in their triumph. However, it is rather doubtful, whether we should adopt Colgan's conjecture, that both these saints might constitute a very small number among those martyrs, who suffered death in Maia Island, off the coast of Scotland, in A.D. 874, or thereabouts, during a hostile incursion of the Danes. As one of these athletes was called Monan, Colgan supposes he might be identical with Mannan; and, as to Tiaan, the nearest formal approach to it, he can discover, is the name of Adrian. But this appellative does not appear to us, at all similar to the other. We find, Hector Boece and Thomas Dempster in their respective Histories of Scotland, as also Camerarius, in his Scottish Martyrology, relate more fully that event, to which Colgan alludes. We are informed, that St. Monan, when a young man, and impelled by a Divine impulse, left his parents. He became a disciple of St. Hadrian, Bishop of St. Andrew's. In their time, a great number of pious inmates lived in a well-known monastery, called Maia, in the district of Fife. When the Danish eruption threatened them, in Scotia, some took refuge in caves and dens, where they escaped death, but yet were obliged to endure great hardships. However, a vast multitude are said to have perished, when the Danes set fire to the monastery, and their torments were excruciating. Some of those martyrs' names are preserved, viz. : the Venerable Bishops Hadrian, Glodian, Gains, Monan, Archdeacon of St. Andrew's, Stolbrand, a Bishop, with many others, whose names are not recorded. Some writers have asserted, that those martyrs were Hungarians, and that, to avoid troubles, which then prevailed in Germany, they passed over into Scotland; while other authors do not hesitate to aver, that they belonged indiscriminately to Scotia and Anglia. But, from whatever quarter they came, adds Boetius, they adopted Scottish customs, and taught the truth, persevering in piety, by word and work, until finally suffering martyrdom, for the sake of Christ, they were placed among the blessed ones, and continued to benefit with their prayers each day, those who piously invoked them. In times after their martyrdom, the faithful flocked to their shrine, which was made illustrious by frequent miracles; while, both in Scotia and in Anglia, they were held, in very great veneration. The merits of St. Modan are praised by Camerarius, in an especial manner, and, at his tomb, miracles were of constant recurrence. One miracle, in particular, is deemed deserving of record. David II., King of Scotland, had been wounded grievously with a hooked iron arrow-head, which the surgeons were not able to extract. Then placing his hopes of cure in God alone, and recollecting the many miracles, wrought through the merits of his servant, Monan, the king went to Inverness, where he had been entombed, and several of his nobles were in company. There, offering his prayers to God and to St. Monan, almost immediately afterwards the iron arrow-head came out of its own accord, without any pain, and scarcely leaving behind a single scar. As a thank-offering for so great a benefit, the monarch took care to have built a magnificent church there, which he dedicated to St. Monan. He also attached thereto a collegiate chapter of priests, for the due performance of choral services, and he furnished sufficient means, for their support. It is probable enough, that some of those called Scoti, by Boetius, were natives of Ireland; and, during the eighth and ninth centuries, numbers of our countrymen suffered for the faith of Christ, while the Danes and Northmen infested our shores. Whether or not the Scotch St. Monan was identical with the present St. Mannan, or whether or not St. Tiaan had been among the holy band of martyrs alluded to, or may be confounded with St. Adrian, Colgan could not decide. However, in a matter and manner, so very uncertain, as that to which he calls the reader's attention, no satisfactory conjecture can even remotely be formed. In Ireland, it does not seem an easy matter, to connect these holy persons, with any particular time or locality. There is a parish, called Kilmannan, in Bargy, county of Wexford. There is a townland of Kilmannin, in the parish of Becan, barony of Costello, and county of Mayo. hether either has reference to this Saint Mannan cannot be ascertained with accuracy. On the road from Westport to Leenaun, there is a romantic valley, known as Erriff, or Errive; but, this is only remotely similar to Aredh-suird or Ariudh h-Uird. A Feicin, or Fechin, a Priest, we find mentioned in the Martyrologies of Tallagh, of Marianus O'Gorman, and of Donegal, as having a festival on this day. A notice occurs, likewise, in the Bollandists' work. St. Cronan, of Cill Beg, or Kilbeg. We find Cronan Cille Bicci, in the Martyrology of Tallagh, at the 21st of February. Where "the little church," to which he had been attached, was situated, can hardly be determined with accuracy... [The author proceeds to give dozens of examples of the placename Kilbeg from every corner of Ireland]... The foregoing denominations must probably include the changed form of the present saint's former place; but, without some local tradition of a pattern or saint's day corresponding, it would not be possible to decide on any one spot. In conclusion, we find Cronan, of Cill Beg, is set down in the Martyrology of Donegal, as being venerated on this day. 20. B. DECIMO KAL. MARTII. 20. COLGA, Mac Ua Duinechda, i.e. Lector of Cluan-mac-nois. It was he that composed the kind of prayer, called the Scuab Chrabhaidh (Broom of Devotion). It was to him Paul the Apostle came to converse with him, and to help him on his road, and he took his satchel of books at Moin-tire-an-air, and it was he that pleaded for him to the school of Cluain-mac-Nois, and the prologue or preface which is before that prayer states that this Colga was a saint, was a priest, and was a scribe of the saints of Erin, etc. And there is a Saint Colga, with his pedigree, among the race of Dathi, son of Fiachra, son of Eochaidh. Muidhmhedhoin, and he may perhaps be this Colga. One day returning from his class hall with his leathern book-satchel on his shoulder, he sat down to rest at the place called Mointireanir. As he sat a stranger came up and began to converse in the kindest and most affable way with the professor, and even ventured to give him counsel and instruction. Nay, more, he took up the book-satchel, and carried it on his own shoulders, letting the tired master walk on by his side. The kind stranger turned out to be the Apostle Paul himself. On another occasion when public disputation was being held at the college, it seems certain scholars were objecting vigorously to Colgu's views, when St. Paul once more appeared as a learned stranger, and was invited to take part in the discussion. The unknown scholar accepted the invitation, and reasoned so convincingly that in a very short time he clearly showed to the satisfaction of all present that Colgu's view of the question at issue was the correct one. Rev. J. Healy, Insula Sanctorum et Doctorum, or Ireland's Ancient Schools and Scholars, (6th ed., Dublin, 1912) , 272. There are a couple of writings which still survive which are linked to Saint Colga. The first is the prayer, mentioned in the Martyrology of Donegal entry above, called the Scuab Chrabhaidh (Broom or Besom of Devotion). The second is a letter written by Saint Alcuin of York from the court of Charlemagne to 'Colcus, a lector in Scotia'. Colgan believed that Saint Colga of Clonamacnoise was Alcuin's correspondent. The 20th of February is established on the calendars as the feast of Saint Colga and the annals variously give his death as occuring in the year AD 789, 791, or 794. The Bollandists have a brief entry of this holy bishop, at the 19th of February. The Martyrologies of Tallagh and of Marianus O'Gorman, and of Donegal, on this day, record Maeldobharchon or Maoldobhorchon, Bishop of Cilldara, now Kildare, in the county of the same denomination. It seems likely enough, the Abbot of Kildare, Lochen, surnamed Meann, or the Silent, also called Lochen, "the Wise," who died on the 12th of January, or 12th of June, a.d. 694, as also St. Farannan, Abbot of Kildare, who died on the 15th of January, a.d. 691, may have exercised episcopal functions over this see. If so, it is probable, the present holy man succeeded this latter. According to Colgan, he died a.d. 704 but, the Annals of the Four Masters state, that this prelate died, a.d. 707. According to the Annals of Ulster, he departed this life in the year 708. "A.D. 707. MAELDOBORCON, Bishop of Kildare, died on the 19th of February. "(Four Masters.) "A.D. 708. Maeldoborcon, Episcopus Cille-daro, pausavit." (Annal Ult.) The death of this Prelate is stated by some to have taken place in the year 704 (Ware). 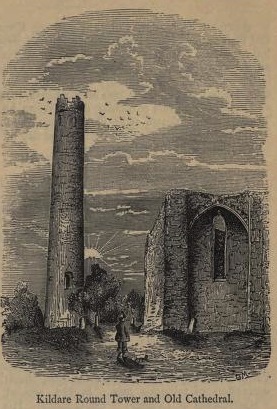 Keating (Book, 2, p. 46,) relates that King Congall Kennmagar persecuted the Church at this time, and burned the secular and regular clergy of Kildare; but Lanigan discredits this statement, judging to the contrary from the peaceable and prosperous reign ascribed to this monarch by old writers. A great conflagration, it is true, laid Kildare waste in 709. (Four Masters), during this King's reign ; and, as we may suppose that some clerics lost their lives in this fire, this circumstance may have given occasion to the story. Rev. M. Comerford 'Collections Relating to the Dioceses of Kildare and Leighlin' (Dublin, 1883), 5. St. Dacualenus or Culanus, Bishop of Killcuilawn, County of Tipperary. ...It is likely, St. Culan had his habitation, not far removed from Borrisoleigh, and Killcuilawn derived its name from a church he had there founded. His period is not well known, for, the accuracy of that information, furnished to the compilers of a modern topographical work,hardly falls within the range of probability. It is more likely he belonged to the seventh century. At Glankeen, it is said, an abbey had been founded, so early as the time of St. Patrick. In a Life of St. Cormach, it is stated, that he was descended from Oilum Olum. It relates, that he had five brothers, by the same father, and that Culanus was one of these. Again, it is asserted, that this St. Culan built a church in a valley of the region, known as Hi Luigdlicach, where he remained among his kindred and acquaintances. His pedigree is thus traced; he was the son of Eugene, son to Murchad, son of Muredac, son to Diermit, son of Eugene, son to Alild Flanbeg, son of Fianch Muillethain, son to Eugene the Great, son of Ailild Olum. His church was called Glean-chaoin, "the beautiful glen," and it lies at the foot of Knockanura mountain, and at the bounds of Killaloe See. In reality, two buildings raised at different periods present themselves in the ruins of Glean-choin or Gleankeen Church. There was an old building formerly at Killcuilawn; but, towards the close of the last century, its stones were removed for the purpose of building a house. The Church of Culan was benefited by the piety and generosity of his relatives, and these considered themselves as more than recompensed by the saint's prayers for their welfare. What particular reason there was for supposing, that Irish Apostolic men brought the relics of St. Culan to Germany, or even a veneration for him, Godefrid Henschenn has not explained. From what we have already seen, his relics appear always to have remained in Ireland; and probably, he belonged to that part of it, where the "Barnane Cuilawn" had been so long preserved. On February 17 Canon O'Hanlon presents an account of an eighth-century saint who flourished in Belgium and whom some accounts described as a 'Scotus' or Irishman. Admittedly this is not a strong basis for Saint Silvin's inclusion in the Lives of the Irish Saints, but in his ascetical practices this saint is very much in the Irish tradition. St. Silvin, reputed to be an Irish Bishop, at Alciac, or Auchy, in Belgium. By many writers, it has been remarked, that in past ages no less than in later times, Ireland seems to have been indifferent to the fame of her illustrious children, who have served and blessed other countries, by their presence and labours. Desirous to remove some part of this reproach, we should not be willing to omit any record, that might tend to recover even a possible appropiation of fading renown. Thus, St. Silvin, Bishop of Alciac, or Auchy, in Belgium, is said, in an unpublished life, to have been a Scotus, by which term we may consider him an Irishman. His feast occurs on this day, in several Calendars. In the city of Rheims, in France, Federicus Flouetus had seen a Manuscript Life of St. Silvinus, in which it was asserted, that the present holy man was a Scot by birth. Nor have we any very strong reason to doubt, that such was the case; for, not only are the names of Sillan or Silvans purely Celtic, but, in the time of this saint, many Irishmen were accustomed to emigrate and to settle in different parts of France. Yet, we have a different account, regarding the place of his birth, in a Life of St. Silvin, at first said to have been written by a bishop, called Antenor, and afterwards considerably amended, and apparently altered, by some anonymous writer. He was engaged on this task, by request of an abbess, named Leutwith or Lseutevit. This amended biography makes Silvin to descend from a noble family, and to be born in the territory of Thoulouse. He is said to have lived in the time of King Charles I. and of Childeric, or Chilperic. When a young man, he espoused a maiden, according to the rite then prevailing; but, the grace of God wholly taking possession of him, he reflected deeply on these words of our Divine Redeemer, "every one that hath left house, or brethren, or sisters, or father, or mother, or wife, or children, or lands, for my name's sake, shall receive a hundred-fold, and shall possess life everlasting." Doubtless, with the free consent of his affianced spouse, they resolved on a mutual separation, and Silvin decided on embracing a religious life. He seems to have remained in the world, until after the Vinciac War, waged by Charles against Raghenfrid, or Ragemfrid. The latter was totally defeated, with great slaughter, while his troops were dispersed. When Silvin began his missionary career, the fame of his sanctity and eloquence went abroad, while many souls were converted to God. He went to the Teruanensian region, where the people were yet uncultured in the maxims and practices of religious feeling. In a short time, by word and example, Silvin effected a wonderful change. His self-denying life was a subject for admiration among his converts. His humility was unfeigned, and yet recognised, by them, and for this very reason, he was loved as a father, while he was revered, as if he were a great lord and master. Doing good to all men, but especially to those, who belonged to the household of the faith; he was prudent in teaching, devout in feeling, incessant in missionary work, full of integrity, correcting first what he found to be deserving of reprehension in himself, and thus was he justly prepared to reprove the faults of others. Meantime, while remarkable for his comeliness of mien and cheerful look, he was clothed in a poor habit, but rich in God's graces, his constant study was to gain over souls, and in uniting them to the fold of Christ, he hoped to increase the more his individual merits. In his humble habitation, guests and strangers were received, as if he beheld Christ in their persons. He washed their feet, while he gave them food and clothing; for he desired on the last day to be among the number of those to whom should be said, " I was hungry and you gave me to eat: I was thirsty and you gave me to drink: I was a stranger and you took me in: naked, and you covered me: sick, and you visited me: I was in prison, and you came to me." Mindful, too, of the Royal Prophet's words, "I will take heed to my ways, that I may not sin with my tongue, his vocal organs were usually employed either in preaching God's word, or in hymning the Divine praises. More solicitous to adorn his soul with graces, than his person with fine dress, he imitated the Saviour of the world in a contempt for its riches; his prudence and judgment were shown, by regarding secular affairs as transitory, and by desiring only the love of God and of his neighbour, that this might tend to his eternal gain. Through no desire of change, or to gratify human curiosity, but rather to satisfy his devotion, Silvin visited the shrines of many saints, and he travelled much for his own spiritual comfort.'' He prayed for the intercession of God's holy servants, to aid him on the way to glory; and he knew, that as no person can be saved through his own efforts, so was it necessary to ask Divine assistance. He even travelled as far as the Holy Land, visiting among other places Calvary, where our Lord was crucified, and the Jordan, where he was baptized. Having thus satisfied his devotion, he left that distant country, and returned. He cultivated most kindly relations with the secular clergy and religious. He was renowned as a holy confessor, while multitudes flocked to receive his salutary admonitions in the tribunal of penance. For the four Cardinal Virtues of Prudence, Justice, Fortitude and Temperance, St. Silvin was distinguished; and taking them as a shield and a coat of mail, he was able to repel all temptations of the most wicked one. He preached most eloquently, and daily, both to the clergy and to the people, in his church, where he fervently prayed. This holy bishop was ever under the guardianship of his protecting angel, who led him safely to the end of his life. The father of orphans, the defender of widows, the protector of virgins, the glory of monks, St. Silvin was a promoter of peace, cautious in preaching and holy in work. He took care to observe the Apostolic admonition, lest preaching to others he should become himself a cast-away, strengthening himself in the grace of God, and becoming all things to all men, that he might gain souls to Christ. He referred all things to God, and gave whatever he possessed to the Lord. Thus on property, belonging to himself, St. Silvin erected two churches. One of these was in a place called Mundini Cisterna, and the other lay in Remicensi Campana. Here he was accustomed very frequently to celebrate the Almighty praises. St. Silvin, besides redeeming several captives, converted many of them to the Christian Faith. It was his custom, when infirm persons flocked to him, first to procure their conversion, and afterwards, when their souls were refreshed by sacramental graces, to send them away healed from their bodily infirmities. So great was his abstinence, that it is said, for forty years together, he did not taste even bread; he being content with the herbs and fruits of the earth. His clothing was of a very humble description, except when wearing the vestments for religious ceremonials. He practised various austerities, sleeping on the bare earth, wearing an iron chain next his skin, desiring to lead a hermit's poor life, only for his episcopal engagements, and even sighing for the martyr's crown. He made a pilgrimage to Rome, and visited the shrine of St. Peter. Silvin wrought many miracles; he relieved possessed persons, he cured lepers, he healed paralytics, the lame, the blind, and the infirm. But the time for his release at last approached, and he fell into a fever. During this illness, he caused the holy Sacrifice of the Mass to be celebrated in his presence, and the psalms to be sung, while he was frequently refreshed with the Sacrament of the Body and Blood of Christ. Giving holy admonitions to those surrounding his death-bed, he left all present a great example of perseverence to the end. In the supreme moment of his exit from this world, he had an angelic vision. He recovered strength to exclaim in a clear voice: "Behold, the Angels of the Lord come to me; Behold, the Angels of the Lord come to me!" His departure took place on a Sabbath evening, and as generally supposed at Auchy, in the district of Artois, on the 15th of February, about A.D. 718, or 720. He was buried however, on the 17th of this month, and it is the date generally assigned for his feast. As the angels rejoiced in heaven, at the coming of such a saint, the faithful on earth lamented his departure; his funeral solemnities were celebrated in a becoming manner, and while the dirge was sung, priests, clerics, nuns and people were in tears. His remains were deposited in the monastery at Auchy, or Auxy-les-Moines, several monks, from the adjoining religious house of St. Richarius, or Riquier, at Centule, affectionately and piously assisting at his obsequies. A nobly-descended nun, called Siccherdis, caused his tomb or shrine to be magnificently adorned with gold and precious stones. The Bollandist Acts contain details of many great miracles wrought at the shrine of St. Silvin, long after his happy departure. To preserve his remains from the Northmen impieties, they were brought, at first to Dijon, and afterwards to the monastery of Besua, for preservation. It is probable, the chief part of those sacred lipsanae were again taken back to Auchy. In 951, his relics were removed to St. Bertin's monastery, at St. Omers, and there the greater part of them were preserved, towards the close of the last century. At the time of the French Revolution, this magnificent establishment was left the melancholy, but still noble, ruins it exhibits, at the present time, and St. Silvin's relics, with others, must have been dispersed. The jaw-bone and arm of this holy man were preserved at Auchy, in the seventeenth century; and, it is probable, they have not been destroyed or lost. St. Aedh Glas, Bishop, of Rath na n-Epscop, or Rathnaspick. The name Aedh Glas, without any further designation, occurs in the Martyrology of Tallagh, at this date. Colgan and the Bollandists notice his six brothers. It is mentioned, in the Martyrology of Donegal, that Aedh Glas, Bishop of Rath na n-Epscop, was venerated on this day. If Colgan's conjecture be correct, he had six brothers bishops, it is said, who are thus named and distinguished -Diermit, bishop ; Foebarchus, bishop; Maclasrius, bishop; Manchinus, bishop; Tarchellus, bishop; Tinnius, bishop. St. Aedh is set forth as the son of Mured, the son of Fortchern, and belonging to the family of St. Declan. All of these are said to have been venerated at Rathna-Nespoc, and they are ranked among St. Patrick's disciples. These are thought to have possibly lived, in the time of St. Kieran of Saigir since, a Bishop Aidus, is mentioned in his Acts. Under the head of Rath-na- Nepscor—rightly, however, Rath-na nEpscop—Duald Mac Firbis enters, Aodh Glas, and Aongus, at February the 16th. Mr. Hennessy appends a note stating, that the place is unknown; and, such is undoubtedly the case, under the misreading. There is a parish and a townland, denominated Rathaspick, in the county of Wexford. Here, there is a holy well, which was called after the episcopal patron of the parish, but whose name is now forgotten. There is a parish and a townland, called Rathaspick, in the barony of Moygoish, and county of Westmeath. There is likewise a parish, known as Rathaspick, situated, partly in the barony of Fassadinin, county of Kilkenny, and partly in the baronies of Ballyadams and Slievemargy, in the Queen's County. I cannot determine, to which of the foregoing places, the present holy bishop and his brothers belonged. Below is an account of the life of a saint of the Columban family, Farannan, whose feast is commemorated on February 15. It has been abridged from the entry in O'Hanlon's Lives of the Irish Saints and reflects some of the best points about the good Canon's work. He is able to access the Life of the saint from Colgan's Acta Sanctorum Hiberniae, itself a translation of an earlier Irish Life. Some points of interest to note are that this saint was related by blood as well as by spirit to the great Saint Colum Cille, that Farannan was one of many prominent ecclesiastics who attended the Convention at Drumceatt, and that he practiced the austerities associated with Irish monastics, praying while submerged in cold water and using a stone as a pillow while sleeping. The well and 'bed' thus associated with him became the focus for popular devotion, particularly interesting was the record that local people observed four separate periods of annual fasting in honour of the saint. The Life of this saint had been originally written, in the Irish language, with great accuracy and judgment. It has been translated, into Latin, by Colgan. He states, that the original writer must have executed his task, after the year 1200. Colgan gives the Acts of St. Farannan, at the 15th of February, where our Irish hagiologist remarks, that this holy confessor was different from many other Irish saints, bearing the same name. The Bollandists have only a transient notice regarding him. According to the Irish Life, Farannan was the son of Quintus or Constans, son to Colgan, or Colga, son to Edus, son of Finnbarr, son to Eugenius, or Eoghan, son to Niall of the Nine Hostages, Monarch of Ireland. But, the virtues of our saint were far more admirable, than his nobility of birth ; for, he was more solicitous to practise piety, than the vicious are to pursue false pleasures. Both by word and by action, he was careful to reprobate vice, and to promote virtue. He practised—and apparently from early youth—great austerities against the flesh ; while, his virtues and miracles spread his fame, throughout the whole island. His example was a salutary lesson to many, for the amendment of their lives. When duly promoted to a position in the Church, he preached the Holy Gospels, with much fruit and zeal. We are told in his Life, that our saint was contemporaneous with the great St. Columkille, who, burning with zeal for the propagation of the true faith, left his native island, for the shores of Albion, that he might gain a Christian conquest over the incredulous Picts. We are also informed, that St. Columba had another reason, for seeking these shores. Some intestine divisions and strife arising among members of his family, who stood high in rank and station, at home, the saint vainly endeavoured to restore peace. Not being able to succeed, he took a resolution of leaving his native country, to which he never intended to return. The Apostle of the Picts directed his course towards Iona, where having erected a noble monastery, he became a great promoter of monastic rules and practices. St. Forannan is classed among his disciples; but, whether his novitiate commenced in Ireland, or at Iona, does not appear to be well known. The kindred of St. Columba, in Ireland, earnestly desired this saint's presence among them, and they sent frequent messages to induce his return. He constantly refused compliance with these entreaties, until a great public necessity compelled him to revisit his native island. His object was to effect a reconciliation between the Scots of Hibernia and those of Alba. A public convention or council was called at Dromceat, in order to deliberate on those special matters. Others, of great national and ecclesiastical importance, engaged the attention of this grand deliberative assembly. St. Columkille had another object in view, by returning to Ireland. He greatly desired the release of Scanlan, son to Kinfalius, King of Ossory, who was detained in prison by Aidus, son to Anmirach, Monarch of Ireland. This Aidus was a kinsman to St. Columba himself. The latter succeeded in this endeavour, as also in his desire of effecting peace, between the belligerent parties, and princes of the period. He was detained for some time, in Ireland. There, as we are told, he exercised spiritual rule, over various communities of religious men and women. No doubt, in a restricted sense, this was quite true. 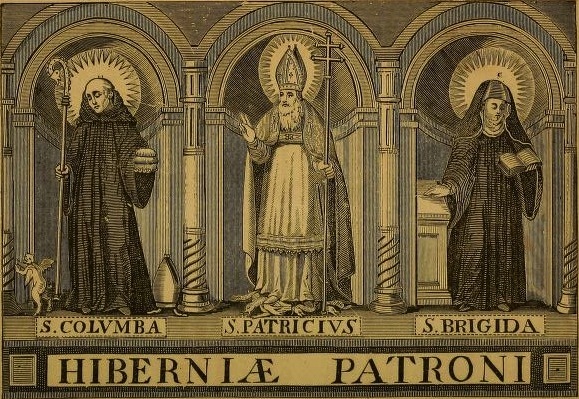 "The Acts of St. Farannan have a statement, regarding Columba, that after St. Patrick the holy Abbot of Iona had supreme power in spiritual matters over all the monks and nuns, throughout Ireland. Before returning to Britain, St. Columba founded a church in the territory Of Cairbre. This was called Druimcliabh. Thence, he went to a place, called Easdra and, here he was met by all the bishops of the surrounding country, and by many holy persons of both sexes. The place, where this assembly was held, seems to have been Easdara, as formerly called, and at present Ballysadare, in the county of Sligo. The author of our saint's Acts says, that of Cumne's race alone, there were many men and women renowned for their sanctity. She was the daughter of Dalbronnius and a sister to Brotsecha, the mother of St. Brigid. She was celebrated for her numerous and holy progeny. In the year 574 or 575 some authors have it about 580, according to others, 587, or 590 St. Columkille, King Aidus, and several chieftains, having assisted at the great Council of Dromceat, St. Farannan was one among the many ecclesiastics who were present. In the Life of our saint, we are told, that many persons, illustrious for their wisdom, rank and sanctity, assisted at this council. Among these, we find named, St. Cuanus, St. Garuan, bishop, St. Colman, son to Eochod, and St. Baithen, son to Brendan. All of these were related to our saint. For, we are assured, that the foregoing saints were descended from five sons of King Niall of the Nine Hostages. Thus, St. Cuanus was a descendant of Ennius, St. Garuan of Conall Crimthann, St. Colman of Leogaire, and St. Farannan of Eugenius; while, Saints Columkille and Baithen were derived, from Conall Gulban. Afterwards, accompanied by many holy persons already named, St. Columba having passed beyond the shore called Traigh-Eothuile, he visited the region of Tyr-Fiachrach, where Tibradius, the son of Maelduin, lived. This prince bestowed on him tracts of land which were delightfully situated. They were given for the purpose of building three churches. He also endowed the churches which were to be built, with ample possessions. The first of these places was called Cnoc-ara maoile, at that time; but, afterwards, it obtained the name Scrin Adhamhnain, or the " shrine of Adamnan," from the saint of this name. This church was situated in the diocese of Killala, and in the territory of Tir Fhiachrach. It was celebrated for possessing many relics, a list of which Colgan promised to give, in his notes to the Life of St. Adamnan. It is needless to add, and much to be regretted, that Colgan did not live to accomplish his design. He, also, promised to say more, regarding this church, when that future opportunity should be presented. The eminence of Mullach Ruadha, now Mullaroe, or Red Hill, rises very near it. The second church was called Kill-Chuana, from St. Cuannan, or Cuanna, who had been set over the place, by St. Columba. The third of these sites, named All na fairgsiona, was conferred by St. Columba on our saint ; and from him, in course of time, it bore the name of All-Farannan. It is Anglicized,"St. Farannan's height" or "cliff,'' and, at present, it is known as Alternan, the name of a townland, in the east of the parish of Easkey, and adjoining the parish of Templeboy. It is in the barony of Tireragh, and county of Sligo. In the immediate vicinity of Alternan, there are four townlands, called Ballymeeny, i.e., O'Meeny's town, because this family possessed them, with Cluain na g-Cliabhach and Alt-Farannain, formerly occupied by O'Rothlain. At the latter place was to be seen Dubhach Fharannain, i.e. "St. Farannan's vat or keeve." His station was situated, in the diocese of Killala, and in the ancient territory of Tyr-Fiachrach. In this place, the saint lived a most blameless and retired life. Here, he dwelt in a cave, which was buried in the recesses of a large wood. The situation of this cavern was opposite the waters of ocean ; on which, and on the wide vault of sky above, the eyes of Farannan were almost constantly directed. Being, as it were, an exile from earth, his regards were continually fixed on Heaven ; for, although residing in the world, his desires savoured not of its love. He was desirous to acquire virtue, as many others are desirous of obtaining riches; while, he was more severe towards his own body, than mere worldlings are indulgent to themselves in pleasure, and in the gratification of corporal wants. His first concern was to thank the Creator, for all his benefits and graces ; so that, the exercise of prayer was seldom intermitted, notwithstanding the discharge of other stringent occupations. He continually chanted the church hymns or the Psalms of David. Such strains frequently awoke echoes within his lonely cave, and through the surrounding wood, being wafted afar, even over surging waves, or towards the wide canopy of sky. Thus, spiritually did he unite with celestial choirs, in celebrating the power and majesty of Him, the great Master of Creation. From these canticles, he drew forth subjects, which served for nightly contemplations. From the close of day until aurora he was occupied in continuous vigils, or in the exercises of penance. He remained, for some time, immersed in a well of cold water, up to the armpits. A fervour of spirit within enabled him to support this frigid element around him. This well formed a sort of basin, sunk in the middle of a stream, into which a cataract of falling water flowed; and, the devotion of the people, in this locality, afterwards surrounded it with a stone wall. After emerging from his cold bath, Farannan passed the remaining part of night sleeping on the bare ground, in a sort of excavation, which did not even correspond with the natural proportions of his body; whilst a stone served for a pillow, and another rested against his feet. Here he snatched some short and uncomfortable rest. He arose before morning's dawn to celebrate the praises of God, by reciting his office of lauds. That receptacle for our saint's wearied and macerated limbs, afterwards received the name of "St. Farannan's Bed." In the time, when lived the anonymous author of our Saint's Life, many persons made special pilgrimages to the place, in which Farannan had spent his days, hoping to obtain various favours, through his pious invocation. Even, in the seventeenth century, it was frequented by multitudes, who were drawn thither, through devotional motives. It was also believed, that many persons, and even cattle, obtained relief from various disorders, through a veneration paid to our saint. Several individuals, lying down in his bed, and offering up to God, and to the saint, their pious prayers, were cured of divers diseases. Such, also, was the reverence entertained, for whatever object had even a remote connexion with St. Farannan, that the very wood which surrounded his cave was considered to be sacred ; and, it was looked upon, as an act of profanity, to remove a single branch from any of its trees. In some few instances, it is said, God's judgments were manifested in a remarkable manner, against those who had the tenacity to disregard such a popular sentiment of veneration. It is somewhat remarkable, that the author of our Saint's Life, although stating his festival to have been kept, on the 15th day of this month, does not inform us, if it be the date of Forannan's death. The year of his departure, likewise, is left unrecorded. This holy man's fame survived him; yet, in the immediate place of his mortal pilgrimage, he seems to have passed under another name. Thus, St. Ernan's Well, and the saint's grave, are shown on either side of the stream, which runs by Alternan Park into the Atlantic Ocean. The present saint is mentioned in the Martyrology of Tallagh, yet merely as Farrannan mac Aedha, at the 15th of February. The Martyrology of Donegal, on this day, records Forannan, son of Aedh. In after time, when this great saint had been called, to the possession of a celestial inheritance, his memory was held in great reverence, by people inhabiting the surrounding country. Many miracles were wrought through his intercession. It was believed by the local inhabitants, that men, or even animals, belonging to the brute creation, and affected with various distempers, often found restoration to health, either by laving in the water of the well, or by drinking it. On account of many miracles and benefits, thus obtained through this saint's intercession, the inhabitants in that part of the country, to manifest their gratitude, imposed on themselves four annual fasts. One of these was always kept on the vigil of his feast, and on three other days, namely, on a Wednesday, Friday and Saturday. Yet the seasons, in which these latter days were kept, have not been recorded, for our information. The Martyrology of Tallagh enters the name, at the 14th of February, of Sinach. His place is called Stratha Irenn. On this day is recorded, in the Martyrology of Donegal, Sineach, of Srath. 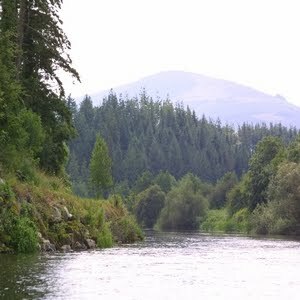 There are many names of places in Ireland compounded with Srath or Strath, meaning "a river bottom" or "valley." Among the many Irish saints whose life and location are shrouded in anonymity is Saint Fionan of Druim-Neoid, commemorated on February 13. Canon O'Hanlon does his best to cover all the bases but perhaps only loses us in the detail. Put simply, the earliest Martyrology, that of Tallaght written in the early 9th century, records the name of a Saint Fionan at this date but without any further identifying details. The 17th-century Martyrology of Donegal records Fionan, of Druim-neoid, but, as Canon O'Hanlon's geographical gazetteer reveals, this could be anywhere in the country. The 17th-century hagiologist Colgan introduces a member of Saint Brigid's family, a Finan associated with a place called Dromhabrad, who may also have a second feast day on October 4. Overall it seems that this saint's Christian name is too common and the placename associated with him too vague to be definitive about exactly who he was and when and where he flourished. St. Fionan, said to have been of Druim-Neoid, or Dromhabrad. The Martyrology of Tallagh has the single name of S. Finan entered, at the 13th of February. Among the saints related by family to the great St. Brigid, we find a St. Finan, son of Fergna, son to Cobthach, son of Muredach, son to Laisre, son of Daire, son to Denius, son of Conla, son of Arturus Corb, &c. We are told that he was either venerated on this day, or on the 4th of October. So it seems difficult to identify him. It is mentioned, in the Martyrology of Donegal, that veneration was paid to Fionan, of Druim-neoid, on this day. The writers state, that he descended from the race of Brian, son of Eoachaid Muighmhedhoin. However, the Finan of Drumneods is called the son of Aldus, son to Ectach, son of Aengus, son to Muredach, surnamed the Bald, son of Eogan Sreibh. The place to which allusion is made cannot be ascertained, with certainty; however, it may be well to state, that it seems to be derived from the Irish words, Drum, Drom, Drim, or Druim, which means "a ridge," and Neod—probably the same as Nead—which signifies "a nest." The latter is traceable under the forms of Net, Nad, Neth, Nid, or Ned. Thus, Drumnid, also Drimna, a townland near Mohill, in the parish and barony of this name, county of Leitrim, and Drumneth, in the parish of Magherally or Magheravally, barony of Lower Iveagh, county of Down, means " the ridge of the nests ;" while, Derrynaned, in Mayo, has the signification of the" oak-wood of the birds' nests." There is a Drumnigh, in the parish of Kinsaley, and barony of Coolock, as also a Drimnagh, townland and parish, in the barony of Uppercross—these are to be found in the county of Dublin. We find a Drimnagh, in the parish of Ogulla, in the barony and county of Roscommon. There is a Drimna Beg and a Drimna More, in the parish of Kilcrohane, barony of Dunkerron South, county of Kerry. We also find a Drimna East and a Drimna West, in the parish of Tynagh, barony of Leitrim, and county of Galway. Likewise, there is a Drimna, in the parish of Kilrush, barony of Moyarta, and county of Clare. There is a Drumna, in the parish of Cloon, barony of Mohill, and county of Leitrim. 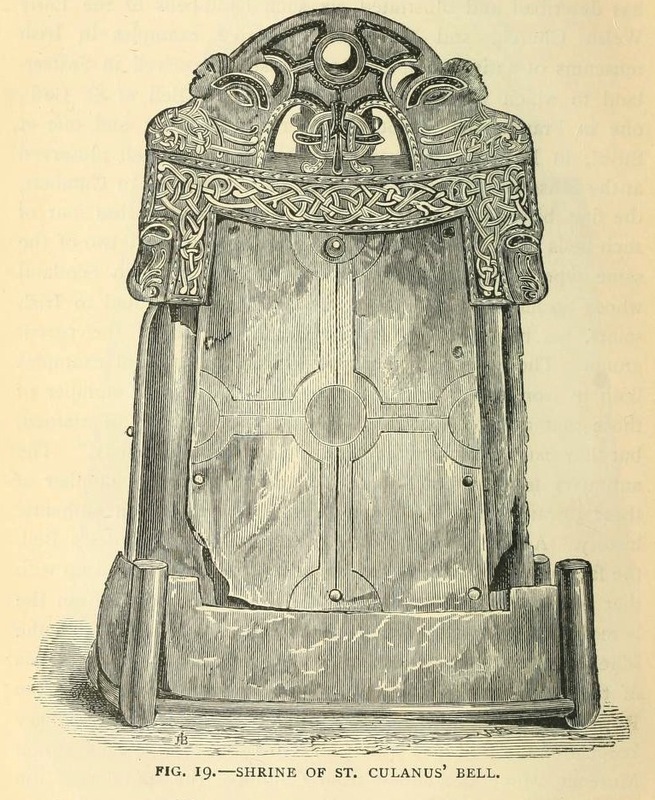 There is a Drumnee, in the parish of Cashel, barony of Rathcline, and county of Longford. Besides the foregoing, we find a Drumny in the parish of Donaghmoyne, barony of Farney, and county of Monaghan. There is a saint of this same name, Finanus, who is stated to have been connected with a place, called Dromhabrad. Yet, this denomination of Dromhabrad does not appear to be recognisable under any existing form of name, shown on the Ordnance Survey Maps of Ireland. He is called the son of Garuan, son to Amalgad, son of Endeus, son to Olild, son of Nadfraich. His feast has been assigned by Colgan to this day. St. Lugaidh, of Cuil-ruscach, in Breifne. The festival of Lughaidh, of Cuil-ruscach—which means the "rushy-corner" — in Breifne, was celebrated on this day, as is mentioned in the Martyrology of Donegal. Long previous to its compilation, he had been entered in the Martyrology of Tallagh, as Lugaidh, Cule-Ruscaigh, at the 12th of February. Under the compound designation of this place, it does not seem practical to define the locality; but, there is a Roosky, in the parish of Knockbride, barony of Clankee, and county of Cavan, as also, a place so designated, in the parish and barony of Mohill, and in the parish of Rosinver, barony of Rossclogher, county of Leitrim. In either county must his place be sought. 11. Etchen, i.e. in Cluain fota Baetain in Fir bile. Bishop Etchen from Cluain fota Baetain aba in Fir bili is in the south of Meath, and of the Dal Mescorp of Leinster is he. It is Colum cille that went to him to have episcopal orders conferred upon him. Then Colum cille sits under the tree to the west of the church, and he asks where was the cleric? "There he is," says a man there,"on the ploughing-field below." "Meseems," says Colum cille, "it is not proper for us that a ploughman should confer orders upon us. However, since we have come for it, let him be proved by us." So first, he asks Etchen for the ploughshare. He gives it to them at once, and not the less did the oxen plough. "A good man is the cleric!" say they. "Prove him still more," says Colum cille. He asks him for the outer ox. Etchen straightway bestows it on them ; and bishop Etchen ordered a stag which was in the forest to do that work, and he does it forthwith. Then Colum cille, having proved the cleric, goes to him and tells him what he had come for. "It shall be done," says the cleric. Then sacerdotal orders are conferred on Colum cille, and it was episcopal orders that he wished to have. The cleric prays till the morrow. "That is a mistake, O cleric," says Colum cille,"the order that thou hast conferred upon me ;- and yet I will never change it so long as I am alive. In lieu of that, now, no one shall ever come to this church to have orders conferred upon him." And this is still fulfilled. 11. G. TERTIO IDUS FEBRUARII. 11. ETCHEN, Bishop, of Cluain-foda in Fir-Bile, in Meath. He was of the race of Laeghaire Lore of the Leinstermen. And it was he that commanded the wild ox to come to him to plough, when he bestowed the order of priest upon Colum Cille in place of the order of bishop. And Colum Cille said that he would not accept of any different orders as long as he should live ; and this indeed he observed, and no one ever came to that church to receive orders from that time forth, A.D. 577. The life of Colum Cille, chap. 38, agrees with this. So the calendars identify Saint Etchen as the bishop who ordained Saint Columcille (Columba) but mistakenly only to the priesthood and not to the episcopacy. Neither is Saint Columcille the only great Irish saint to be linked to Bishop Etchen. The translator of the Martyrology of Donegal has added a footnote saying that a later hand has added a postscript saying “It is he that is called Etianus in Latin, and Echenus in the Life of Brighid, chap. 101.” According to O'Hanlon, the link to Saint Brigid is that she once enjoyed the hospitality of Saint Etchen's parents and interceded for her childless hosts to conceive. The death of Bishop Etchen is recorded in the Annals of the Four Masters at "577. St. Etchen, Bishop of Clonfad, died on the 11th of February." His festival, on that day, was kept with great solemnity, at Clonfad, in the southern part of ancient Meath. The foreign Martyrologists, Hermann Greuen, Canisius, Ferrarius and others, note this celebration. Our native calendarists, likewise, mention this saint, with distinctive praise. The simple record Etchan, bishop, occurs in the Martyrology of Tallagh, at the 11th of February. The Calendar of Cashel, Marianus O'Gorman, Maguire, and the Scholiast on St. Oengus, specially note him, as the minister of St. Columba's ordination. In the ancient Martyrology, belonging to the Cathedral Church of the Holy Trinity, Dublin, this saint is entered as a bishop at the iii. Ides of February, corresponding with the present day. It seems strange, however, that his name has been omitted from the calendar, which is prefixed. This is probably the Etianus set down for this day, in the anonymous catalogue of national saints, published by O'Sullivan Beare. Under the head of Cluain fota, Duald Mac Firbis enters Bishop Etchen, from Cluain-fota, son of Maine, the poet, of the race of Conchobar Abratruadh. At the 11th of February, the Martyrology of Donegal notes the feast of St. Etchen, Bishop of Cluain-foda, in Fir-Bile, in Meath. Scotland, likewise, naturally held the present holy man, in great veneration, because he was the ordaining minister of its great national Apostle. In Ireland, at the 11th of February, the holy bishop and confessor, Etchen, is said to have departed to Christ, according to the Kalendar of Drummond. The name of, Becga, the daughter of Gabhrain, is entered in the Martyrology of Tallagh, at the 10th of February. Great difficulty exists in the identification of this holy virgin, and the place with which she was connected. According to the Tripartite Life of St. Patrick, when the Irish Apostle was in the eastern part of Meath, where he baptized many persons, in the font of a church, called Teglaisreann, he there left two of his disciples; one of these was named Bega, a virgin, and the other is called Lugadius, a priest. Near the gates of the church was a fountain, and at the northern side was a place of interment, which had been called after the holy virgin, Feart Bige, or the "Sepulchre of Bega." In the neighbourhood of this church, and towards the south, another church, called Imleach Sescainn, was built, on the margin of Lough Annenn. There, St. Patrick left one of his disciples, called Moluanus Peregrinus, who was of British extraction. It is thought, by Colgan, that the St. Bega, just mentioned, must be identical with the holy virgin, whose name occurs in our calendars, at the present date. Maguire also enters her, in his Martyrology. Other opinions have been advanced, however, regarding this virgin and her locality. Thus, William F. Wakeman, in his interesting and elegantly written guide book, thinks St. Bega or Becga may have been connected with a townland called Killybeg—recte, Caille Bega—in the northern part of Leitrim County. Again, we read, as set down in the Martyrology of Donegal, that Becga, virgin, daughter of Gabhran, had a festival celebrated on this day. Her name is Latinized Begga, in the table postfixed to this Martyrology. If the previous part of the narrative have reference to the virgin, who is venerated in our calendars at this date, she was probably one of those holy women, who had been veiled by St. Patrick; and, therefore she cannot be identified with another pious follower of Christ, who is commemorated in the English Calendars, and who is nevertheless regarded as an Irishwoman, called St. Bega, or, by the English known as St, Bees. The whole history of St. Becga or Bega is, however, involved in great obscurity. St. Colman, of Cluain Eraird, or Clonard, County of Meath. A stranger, viewing the towers, abbeys and monasteries, dispersed throughout the county of Meath, would be inclined to exclaim, "This was the land of saints, indeed!" The present holy man is styled Mocolmoc, Cluana Iraird, in the Martyrology of Tallagh, at the 9th of February. If what follows be correct, he must have been a nephew to the celebrated founder of Clonard, in the ancient territory of Meath; for, we are told, that Rioghnach, sister of Finnen, of Cluain Eraird was his mother. Her parents, therefore, seem to have been Fintan, descended from the family of Loschain, and her mother's name was Talech. The present St. Colman must have lived, in that case, in the sixth century. According to the published Martyrology of Donegal, on this day was venerated, Colman, of Cluain Eraird. In Harris' Ware, we read, that a Colman O'Heir died, on the 9th of February, A.D. 700. I cannot find the authority, for placing his death on the present date of the month; but, our Annals concur in stating, that Colman-Ua-hEire died Abbot of Clonard, in the year 700. It is possible, he may be identified, with the present St. Colman. St. Trenog or Ternoc, Anchorite, on the West of the River Barrow. This holy man is entered, in the Martyrology of Tallagh, at the 8th of February, as Ternoc, Anchorita. From the latter adjunct, we may suppose he lived a solitary life. A later record spells his name somewhat differently, and it also vaguely defines his place. In the Martyrology of Donegal, there is recorded, on this day, a festival, for St. Trenog, an Anchorite, on the west of the Bearbha. This was the ancient name for the River Barrow; yet, although conjectures may be offered, regarding various old churches and former religious sites, at the direction indicated, such a description is still too indefinite, to discover the exact position of that place, where St. Ternoc or Ternog passed his hermit-life. St. Brigid, Daughter of Doma or Droma. The name of St. Brigid, daughter to Doma, Dioma, Domma, Droma or Drona, as variously written by different authorities, is set down in our Irish Calendars, at this day. Various distinct saints, called Brigid, are noticed in our calendars. In the Rev. Dr. Kelly's version of the Martyrology of Tallagh, the present saint is called Brigit ingean Droma, on the 7th of February. At the same day, she is mentioned in the Martyrologies of Marianus O'Gorman and of Charles Maguire. It is stated, likewise, that Aengus the Culdee and Geoffrey Keating mention this saint. We read, in the Martyrology of Donegal, concerning Brighit, a daughter of Domma, as being venerated on this day. Her history is furthermore exceedingly obscure. February 6 is the commemoration of a member of a very special class of Irish saint, for Maelfinnian of Inis Pátraic in County Dublin was a royal saint, a king of Brega who had achived renown on the battle field. I have recently been reading a re-examination of this saintly king by a modern scholar, but below is Canon O'Hanlon's account. The name, Moel or Mael Finnian, translates as 'devotee of Finnian' and although Canon O'Hanlon is unhappy at the description of the king as an 'abbot' in the Martyrology of Gorman, modern scholarship is more accepting of this. I hope to post a summary of more recent research into this saint on his feastday next year. St. Finian, or Mael-Finnia, of St. Patrick's Island, near Skerries, County of Dublin. St. Finian is more generally called by our hagiologists, Moel-Finian, or Maelfinnia. He is said to have been son to Flannagan. He was of royal birth, and his ancestors are distinguished in our Irish Annals. They ruled over the country of the Bregii, and their territory was called Breagh. It extended, it is said, between Dublin city and the town of Drogheda, thus constituting it, in an especial manner, the northern part of Dublin county. It had, however, a much greater extent. In the very early ages of our history, it seems to have constituted a distinct principality. Flannagan, the son of Ceallach, and the father of Maelfinnia, was Prince of the Bregii, and distinguished as one of our old bards, while he was slain at a place called Olbha by the Norsemen, a.d. 891. It would appear, that his son Cinaedh immediately succeeded him, as Tanist of all Breagh; but, he died that very year, at Dun-Brie. We may fairly suppose, that his brother, and the present pious Prince of Breagh, came next, and immediately, in the order of succession, to the territorial chieftainry, perhaps, before the close of the year already mentioned. Mael-Finnia's virtues are greatly celebrated in our bardic literature, and what gives greater value to his eulogy, it had been proclaimed after his death. Our Annals also recount his warlike and courageous deeds. He appears to have drawn the sword only in generous and noble self-defence, to protect his people and his country from unjust aggression. Thus, when in 892, the Ulidians, under the leadership of Aiddeidh, son of Laighne, made an inroad on Breagh, Maelfinnia met them courageously at Rath-cro,where he fought and gained the victory. Here were slain Muireadhach, son of Maeleitigh, lord of Dal-Araidhe, and Ainniarraidh, son of Maelmoicheirghe, son of Innreachtach, lord of Leath-Chathail, together with three hundred men. Aiddeadh himself escaped, but he was severely wounded. During the ninth century, the Danes and Norwegians were a constant source of persecution and annoyance to the Irish, so much divided among themselves. That settlement, which they effected at Dublin, and which seems to have had the protection of fortified walls for defence, retained the advantage, likewise, of a ready communication by sea, for the Norsemen ships and mariners. This was the chief hornet's nest, whence armed bands issued, to waste the inland territories and religious establishments of the Irish. Accordingly, towards the close of this century, it would seem, that a confederacy had been entered into by Cearbhall, son of Muirigin, King of Leinster and by Maelfinnia, lord of Breagh. The forces of both were united, A.D. 897, and the fortress of Ath-cliath or Dublin was besieged. This was surrendered by the foreigners, after they had sustained a great loss, both in killed and wounded. So many as could escaped across the sea. Yet were they obliged to leave great numbers of their ships behind them. They seem to have fled, in the first instance, to Inis-mac-Nessan, now Ireland's Eye, a little to the north of Howth. Here, again, they were besieged, and probably they were obliged to surrender at discretion. In consequence of these eventful proceedings, the lord of Breagh, Maelfinnia, who is called a religious, devout layman, gained great temporal renown. There appears to be no just warrant for the statement of Marianus O'Gorman, that he was abbot over Inis-Paturic, so far as we can judge. This spot lies off the present maritime town of Skerries, in the county of Dublin. There, for some centuries, a religious establishment existed; and, before the English invasion, it is said Sitric, the son of Murchard, re-founded an abbey for Augustinian Canons. It was dedicated to St. Patrick, and it seems to have been thenceforward known, as the monastery of Holmpatrick. Yet, its situation in the island having been found very inconvenient, Pope Innocent III. confirmed its advowson to the see of Dublin in 1216, and about the year 1220, the parochial church of Holmpatrick was erected on the mainland, by Henry de Loundres, Archbishop of Dublin. Considerable remains of the ancient Holmpatrick Priory yet exist, and these indicate, that they belong probably to the thirteenth century. In the still earlier monastery of the ninth, it may be, that finding his end approaching, the religious prince Maelfinnia, resolving to abdicate his earthly dignity and advantages, retired to the lonely island of St. Patrick, where he assumed the habit of a monk. Although it is mentioned, in the Martyrology of Donegal, that Maelfinden, Abbot of Inis-Patraic, was venerated on this day, the chief authority, for the statement of this holy man becoming superior over the community there, was Marianus O'Gorman. He, probably, had only conjecture to guide him to such a conclusion, or, at best, some unreliable tradition. Other writers, such as Charles Maguire and the Four Masters, without much reflection, followed his opinion. Colgan, likewise, adopts it. Richard Whytford, who treats about St. Finianus, at the 6th of February, styles him a man great in his family descent, yet still more illustrious for his sanctity. The Carthusian Martyrology, also, records him at this date. It appears more correct, however, to call him Maelfinnia, than simply Finian. A man, I assert it without fear, who was alone worthy of having all Ireland. Maelfinnia, a man without haughtiness, lord of Breagh, a torch over the fortresses! He of royal countenance, most highly gifted, a famed just man, a prudent battle-prop. Alas, that the generous Maelfinnia is nota son over the battle of Niall." The Annals of Ulster have a record of this Maelfinnid mac Flannagan's death, at the year 902; and, by the compiler, he is called a religious laic. We are informed, by Dr. O'Donovan, that the latter date corresponds with A.D. 898 of the Four Masters. The example of this heroic man proves to us, that courage, patriotism, and concern for the public welfare are the duties of a Christian hero; while, most fittingly are they combined in the character of a leader among men, and in one who feels a higher responsibility, when looking to the swift approaches of death. St. Cera, Virgin, of Raith Moentich. What the future may reveal is only vaguely presented to the mind of many a holy virgin; her leading idea is to save her own soul, and the souls of many others. She, feels, too, that under the directing hand of God, this holy inspiration must assume in due time, a definite and practical shape. The Martyrology of Tallagh registers a feast for Caera of Raith Moentich, at the 5th of February. The place here named, and with which she appears to have had relations, has not been identified. There is a district, formerly known as Moentach, and which is situated to the south of Lifford, on the borders of Tyrone and Donegal counties. Cera, virgin—simply thus written—is recorded in the Martyrology of Donegal, as having a festival, at this date. Nothing more seems to be known regarding her. Canon O'Hanlon has an account of a most interesting 10th-century saint who laboured in continental Europe, Fingen of Metz. He shares his February 5 feast day with an earlier saint, Fingin, son of Odhran, of whom nothing else seems to be known, but it appears to O'Hanlon that the existence of the earlier Fingin's commemoration on this day was the reason why the 17th-century hagiologist, Colgan, assigned the 5th of February to his later namesake of Metz as well. Saint Fingen is commemorated in one of the Metz calendars at 5th October, which is most likely the true date of his natalis. At the end of the piece Canon O'Hanlon introduces yet another Finghin, this one an Abbot of Roscrea who reposed in 1005, and suggests that he may have been our saint of Metz but I am not convinced. Fingin of Metz had an illustrious career in Europe as a founder and reformer of monasteries, and seems to have enjoyed secular patronage at the highest levels. 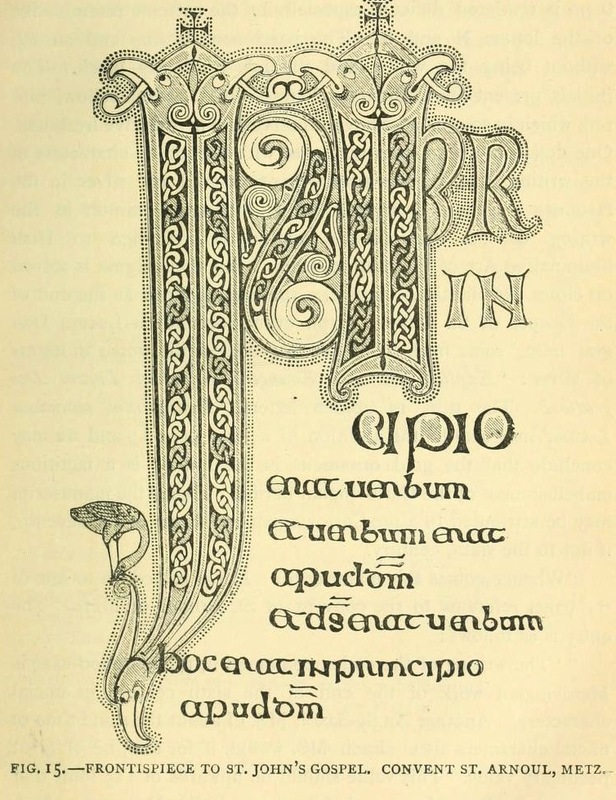 He has left an epistle to a nun, the Latin text of which has been published, but Orthodox readers will also be interested to read of the celebration of the Greek Liturgy in the 10th century by the Bishop of Toul in which Irishmen were also involved. St Finghin, Son of Odhran Feabhla, or, of Metz, in France. In distant countries, as well as at home, the names of many renowned Irishmen are honoured for their merit and virtue. Colgan has some notices of a holy man, called Fingen, inserted in his great work, at the 5th of February. A saint bearing this name, is mentioned, also, by our native compilers of martyrologies. He is entered, in the Martyrology of Tallagh, at the 5th of February, under the title of Febla, Fingin mic Odhrain. There must be some transposition of proper names, in this record; unless, indeed, an entry in a later Calendar be incorrect. Thus, we read, Finghin, son of Odhrán Feabhla, is set down in the Martyrology of Donegal, as having a festival on this day. The account given of St. Fingen is very imperfect, as we find it in Colgan's work. The Bollandists have omitted this saint, placing him, however, among the Praetermissi et in alios dies relati, for the 5th of February. They observe, likewise, that Colgan had not a sufficient reason for giving him the title of beatus, since he had found him called only virtuosus. The chief cause, why Colgan placed his St. Fingen, at the 5th of February, was, for the reason, that the name of a Fingen, the Virtuous, son of Odran Fedhla, happens to occur at this day, in some Irish Calendars. The holy person, thus commemorated, in our fasti, was a very celebrated Irish abbot, who is said to have left Ireland, and to have gone to the kingdom of Lothaire. He is called Fingen, and he must have been born, sometime in the tenth century. It is said he succeeded St. Cadroe, as abbot of St. Felix, otherwise known as St. Clement, at Metz, in or about the year 976. Mabillon, who treats concerning him in his history, did not scruple to consider this Fingen as a great saint, and he often speaks of the abbot, at Metz, as a most religious man. Yet, this Fingen, in all probability, was different from the saint, who is recorded, at the present date, in our native Calendars. Nor did Colgan state, that they were the same, although both were, no doubt, Irishmen. At least, the Fingen, celebrated in connexion with Metz, is regarded as a Scottus, by race, and derived by birth from Hibernia. We are informed, there was a pretty full account of him, in an ancient Life of Thierri I., Bishop of Metz, which unfortunately has not been recovered, if the biography be extant. Besides other mistakes, concerning Fingen and his Irish monks, admitted by Fleury, he calls them Ecossois thus misleading his readers, as to their nationality. The old abbey of St. Symphorian had been rebuilt, by Adalbero II., Bishop of Metz, who had a great esteem for Fingen. Over it, this holy man was placed, in the year 991; and, with the assistance of the Empress Dowager Adelhaide, a protectress of Fingen, and of the Irish Benedictines, and grandmother to Otho III., as yet only king, Adalbero obtained from the sovereign a confirmation of the rights and possessions of this establishment. 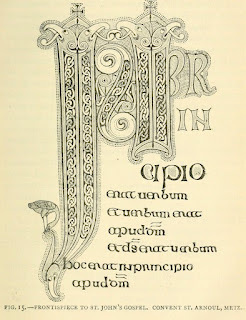 Conditions were imposed, that the Irishman Fingen, its first abbot, and his successors, should not have any other than Irish monks, so long as these could be found, but, in case they could not, the admittance of monks belonging to any other nation was allowed; and, that prayers should be constantly offered there for the king's soul, for those of his parents, for the existing bishop and for his successors. This deed was signed by the king, at Frankfort, on the 25th of January, A.D. 992, in the ninth year of his reign, and in the 5th Indiction. There is a short epistle of Fingen, still extant, in the library of St. Remigius of Rheims, to Fastradis a nun, concerning a monk, named Guilier. This was found by Mabillon, who seems to have published the letter in its entirety. Fingen was sent to re-establish the monastery of St. Peter and St. Vitonus, now St. Vannes, at Verdun not long after he had been set over St. Symphorian. At Verdun, he fixed some Irish monks. Seven of these were there, under his direction, when the celebrated Richard, dean of the diocese of Rheims, and Frederic, who had been Count of Verdun, applied to him in 1001, for permission to become members of this house. It is stated, that they first went to consult St. Odilo, at Clugni, for direction, and he advised them to become monks under the holy Abbot Fingen. The anonymous author of a Life of Richard pretends, that on his and Frederic's first going to Fingen's monastery of St. Vannes, they did not find there a very regular observance of religious rule. However, this story, about the defect of regular observance, is rejected altogether by Mabillon, who shows, that Fingen was a very holy man, and that he could not be deficient in enforcing regularity, in the monastery over which he presided. It seems probable, Richard's and Frederick's reason for having consulted Odilo was, that on their first going to Verdun, they found another monastery there, lately founded by Bishop Wigfrid, which seemed to them more convenient, although the monastic observance was not as regular, as in Fingen's, at St. Vannes. This latter was small and deficient in buildings. As they were persons of high rank in the world, Fingen at first was loth to receive them. He was afraid, that they could not put up with the poverty and strict discipline of the monastery. At length, however, he complied with their request. The saying of Fleury, that Odilon sent Richard and Frederick back to St. Vannes, under the persuasion, that they would reform the establishment, is quite a mistake; for, they could not be expected to do so, while they remained only simple monks. The Irish abbot instructed and trained his disciples so well, that they became two of the greatest and most useful men of their times. Richard especially was very much distinguished. St. Fingen, three years after he had received Richard, died in the year 1004, and was succeeded by his holy disciple. It is singular, that in the Irish annals, the death of a Finghin, or Finguine, called Abbot of Roscrea, is marked, at A.D. 1005. This date comes so near that of the death of our St. Fingen, that it might fairly be suspected they were one and the same person. The day of St. Fingen's death was probably the 8th of October, at which he is praised in the Necrologium of St. Clement of Metz, as abbot, having been buried in its church. To finish this account of Irish ecclesiastics, who were distinguished in foreign countries, during the tenth century, which is supposed to have been a dark age, we shall add a curious circumstance related, regarding St. Gerard, Bishop of Toul. This prelate, in 986, gave a retreat, in his diocese, to several Greeks, who, mixed with Irishmen, performed the Church Service, in their own language. They all officiated, according to the Greek rite. Hence, we see, that the Irish ecclesiastics still continued to cultivate Greek literature, and, at a time, likewise, when learning had not been in the most flourishing state on the Continent.